There is little doubt that the previous Labour Administration and the current Coalition Government have discernibly different governing projects. Despite a rhetorical appeal to the contrary, Labour substantially increased both the size and role of the state, developing a new set of interventions in social policy and significantly increased government expenditure. The Coalition on the other hand has been focussed on reducing the role of the state, decreasing government expenditure and making cuts of over 50,000 in civil service numbers. Yet, what neither government has been able to do is to reconcile the tension between a desire for greater subsidiarity by devolving power to local and regional bodies and the impulse to control all that goes on in politics. In principle, they all agree that localism and subsidiarity are good, whereby decisions are best left to those closest to the ground. But at the same time, there is concern over the emergence of a mixture of contrasting policies being rolled-out in different areas (the so-called postcode lottery in health provision already creates controversy). The Westminster system is a political black hole sucking in every decision and detail on policy. This black hole is created by the nature of the British political system. Back in the 1960s, Brain Barry argued Britain had a ‘power-concentrating’ constitution, an observation that still holds true today. Crucially, the conception of decision-making where politicians are held to account but rarely seek to involve citizens in the policy process is strongly embedded within the Westminster model and the British Political Tradition (BPT). A core axiom of the BPT is built on the precepts of Dicey (1915) and Jennings (1966) who maintained that politics should be limited to those elites who have the knowledge to make policy. While the BPT’s normative validation of strong, centralising government has been increasingly questioned, politicians faced with a series of complex challenges arising from a breakdown in the traditional conception of politics and statecraft have paradoxically been drawn back to the ‘comfort-blanket’ it offers. Whilst they may actually call for more localism, they are loath to give up their own power. Over the last three decades in British politics, the BPT has created a paradox for each of the various governing administrations. On the one hand, each in different ways has made a rhetorical commitment to reducing the role of the state and devolving power from the centre in response to pressure to recalibrate state-society relations and with it how citizen’s view the state. Yet at the same time, each has retained a belief in strong, central government as the crucial vehicle for achieving their governing aspirations. In practice then what we have seen is that despite Labour’s constitutional reform and an explicit commitment to localism, there was at the same time a major expansion of central capacity. Labour created an array of prime ministerial units including the Prime Minister’s Delivery Unit (PMDU) and the Prime Minister’s Strategy Unit (PMSU). Labour opted to control public service producers through increasing consumer choice, aligned with core executive oversight. For example, it increased central controlling capacity in public delivery terms, by using targets and the Prime Minister’s Delivery Unit as a mechanism for ensuring that public services did what the government wanted. It sought pluralism in public service delivery, but within a highly controlled context. This hybrid between the marketization of neo-liberal forms of public management and the retention of a hierarchical state became increasingly apparent throughout the period after 1997. What is striking is the determination of ministers to preserve and uphold the ethos of strong government, elitist political rule, and executive dominance. Despite the radical constitutional reform agenda and the rhetoric of transferring power back to localities and citizens, it is necessary to consider how far the BPT has acted as a constraint blunting the impact of structural and institutional change in the British polity. The Coalition entered government committed to rejecting Labour’s centralism. It scrapped targets [at least in name], reduced the size of the Policy Unit in Number 10, promised a return to cabinet government and pluralised policy advice. The irony is that while the Coalition has been keen to stress a vibrant new localism agenda, devolving powers away from the centre across an array of policy areas, reforms have tended to be enacted in a highly centralist manner, true to the exigencies of the BPT. 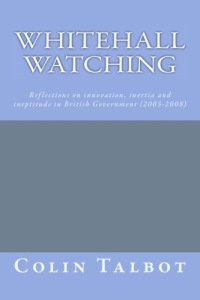 As Jones (2010) observes: ‘Ministers are essentially promoting sub-localism, taking powers from councils allegedly to give to ‘Big Society’ actors below the local-authority level, but ineluctably sucking up key control functions to Whitehall at the same time.’ In a sense what is more significant is the development of a contradictory notion of the state that is developing within the Coalition. For the Conservatives at least, there is a strong opposition to the Nanny state, an opposition to ‘welfare dependency’ and a belief that the size of the state should be shrunk. Indeed, some Conservative MPs have called for radical cuts in spending (Carswell 2012). At the same time, the Coalition is prepared to use the powers of the BPT to impose spending cuts and essentially to maintain a ‘national’ polity. Whilst rejecting targets, the Coalition has embraced and extended the implicitly centralising notions that underpin the Behavioural Insight Team. The work of this unit is interesting in the context of the underpinning philosophy of the government. On one side behavioural change is presented as an alternative to ‘regulation and fiscal measures’ (House of Lords 2010—1: 11). The Coalition to this extent appears to believe that government should do less and has been highly resistant to new forms of regulation in areas such as the environment. On the other hand, nudge is a highly interventionist form of policy making. For example, it assumes government knows what is right in terms of issues such as obesity and exercise and it is in an illiberal way attempting to change personal behaviour (see Ariely 2008, Smith 2009, Prabhaker 2010). Nonetheless, while the Coalition has demonstrated a strong rhetorical commitment to localism, it is played-out within the structured context provided by the British constitution and the BPT – sovereignty formally resides in Westminster and decisions on the direction of policy are determined at the centre. Localism is being pursued in an environment where local government is effectively being directed to undertake a sizeable retrenchment in the light of the budget it receives from the centre. The 2010 Spending Review outlined a twenty-seven per cent [£5.5 billion] reduction in the local government budget – from £29.7 billion in 2010/11 to £24.2 billion in 2014/15 (HM Treasury, 2010: 81). One of the consequences is the large number of job cuts; the Chair of the Local Government Association identified 200,000 local authority redundancies by mid-2012 (see also the Institute for Fiscal Studies, 2013). History has been repeating itself for British governments over the last quarter century or so. They come to power committed to reducing the control of the central state and devolving decisions downwards, but once in government they are unwilling to relinquish their own powers. Any government’s commit to localism and devolution is undermined where there is no willingness to entertain a new vision of British politics involving a proper re-evaluation of the relationship between the centre and the locality. Clinging to the BPT and with it a power-concentrating constitution that was crafted in a very different political era appears increasingly at odds with the current climate of reform. For it is a climate dominated by talk of the need for greater subsidiarity, seen by many as a crucial cog in the process of rejuvenating mainstream politics. Such an insight may help explain the apparent growing hostility of the public to the political classes (which in turn makes politician turn inwards, clinging even more to the centre), the failure to resolve the ‘English question’ in relation to Scottish devolution, or even UKIP’s recent surge in popularity, despite the still relatively low salience of Europe as a key issue vexing the wider general public. House of Lords (2010) Behaviour Change, Science and Technology Select Committee, 2nd Report of Session 2010–12 The Stationary Office. Jones, G. (2010) ‘The Coalition Government’s ‘New Localism’ Decentralisation Agenda may well Undermine Local Government. A New Agreement is Needed’ LSE Blog 22 November 2010 http://blogs.lse.ac.uk/politicsandpolicy/archives/5615. I agree with your central thrust but would add that in the centralisation/decentralisation debates of recent years there is a clear position that emerged in British government and has been copied elsewhere – what I have called “operational decentralisation and strategic centralisation”. This was most apparent in civil service reform in the 90s, where the centre simultaneously strengthened its strategic control whilst relaxing micro-controls. This idea is clear in budgetary reforms, personnel, organisational changes (agencies), targets, etc etc. Many countries have copied the budgetary systems that relax micro-controls over wages, grading, etc but replace them with tight macro-spending controls. This approach was shared by both previous governments and applied across the public sector in different ways, in health, education, local government, policing, etc. (And, as an aside, they have even found it difficult to really let go of some of the micro-controls too – I did a paper on this some years back showing how HMT had failed to ‘let go’ in practice). But – and for me this is crucial – this approach was rarely articulated by government (and some academics) as anything other than simple “decentralisation”, which was highly misleading. I would also say something stronger about the current governments use of targets – they have changed the system but are using as many, if not more, targets than Labour (see my analysis in a previous post on Whitehall Watch).